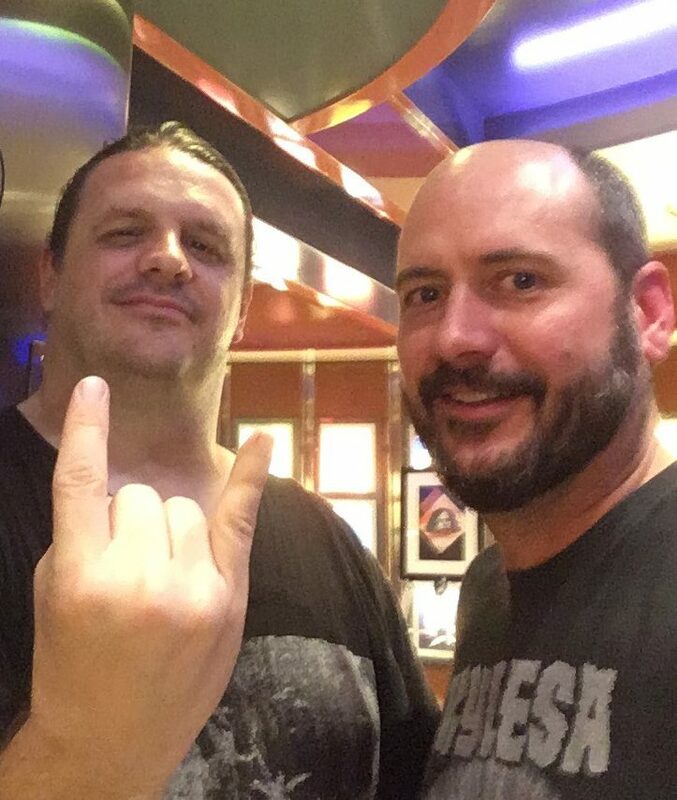 Managing Editor Jamie Lee asked me to put a list together of the bands I’m looking forward to seeing and photographing on this year’s 70,000 Tons of Metal cruise. The quick answer is obviously all of them! Since that’s super generic and a total cop-out of an answer, I’ll try and get more specific. This is my first time attending 70,000 Tons of Metal and I don’t really know what to expect. I’ve seen prior year performance schedules, I know there are four stages, and I know that they are all running very close in time to each other, with some possible overlap. It’s a little overwhelming, but I’m up to the challenge! I’m going to do my best to cover as many bands as I can while still finding time to eat, have a cocktail, meet people, edit a few photos while we are on-board, and have some fun. The first band I’m excited to see are Cannibal Corpse. I know they have been around a long time, and I’ve seen them several times over the years, but I do think the long-time bands deserve the respect and coverage. I was able to photograph them in 2016, but the stage was so dark that I couldn’t get the photos I really wanted. I’m hoping that I can change that with their performance on 70,000 Tons. I hope they play “Kill or Become”! Dark Tranquillity is another long-time band that I’m looking forward to seeing. I’ve been a casual fan of them for many years, but I have never seen them live other than on DVD. I’m a sucker for Gothenburg death metal. It’s an oldie but a goodie, and I’m hoping to hear “Lost to Apathy” on board! One new band I am looking forward to covering is Seven Spires. I checked them out after their announcement and I dig their sound. I also find myself enjoying female-fronted bands. I think it’s great when women get up and show how metal they are! Check out their song “The Paradox”. Great song and video! I’m not sure where they got the idea to combine these two words into a band name, but Goatwhore deliver. I’ve seen them once before, and I’m looking forward to catching up on their music. “Mankind Will Have No Mercy” is a great track! What kind of a cruise would this be without some German thrash metal? Will everyone be “Under Attack” when Destruction hit the stage? Will Kreator “Hail to the Hordes” of us fans when they are up? There’s only one way to find out! I had the chance to see and photograph Belphegor back in December 2017 and wound up really enjoying their show! I can’t wait to see and photograph them again on 70,000 Tons! I’m sure they’ll be “Conjuring the Dead” out of our hangovers during the trip!! I’ll be honest, there are a lot of bands I have never heard of on this cruise. Over the years, I have been pleasantly surprised by bands I have never heard of before. I’m really looking forward to being exposed to new bands, and returning the favor by getting them some exposure on skullsnbones.com! Look out for me on 70,000 Tons of Metal and say hello!